The first thing you see when you open the Diet Planner is a page with a link to the FAQs. The FAQs provide detailed instructions on how to use the Planner to create and store meals. To illustrate how the Diet Planner works, we'll continue with the example we used in Chapter 2 for a 200 lb. person, using the same values for calories and macronutrients we originally calculated with the Meal Planner: 3636 kcal/day, and 22% protein, 48% carbohydrate, and 30% fat. Details such as the calorie goal, macronutrient targets and body weight are not fixed, but can be changed as you proceed. The Diet Planner also provides a space for notes or other details about the diet. Clicking on "Save Diet" completes the process. Now it's ready to use for meal planning and tracking. Each new line in a meal has a drop down list of foods. When you choose a food from the list, the number of calories and grams of protein, carbs, and fats are automatically added. The basic list of foods is limited, but users can customize the list by adding their personal favorites. Click "Add" to enter the food into the meal you're creating. Using the values we calculated for a 200 lb. person in the previous chapter, we'll use the Diet Planner to create a meal that contains approximately 606 calories, 33.3 g protein, 72.7 g carbohydrate, and 20.2 g fat. The simplest way to build a meal is to start with the main protein source. Choose a protein food and enter a portion size that gives a value less than the final amount you want for the full meal, since other foods will add some protein as well. Step 1: Start with a protein source. In this example, adding egg whites to a whole egg increases the protein content, and decreases the fat content. Next, put in other foods that might be needed to create an entree. In this case, we're creating an veggie omelette or scramble, so to complete it, we'll use a couple teaspoons of olive oil for cooking. We'll need to start adding some carbs, so to complete the entree, we can fold it into a 100% whole wheat flour tortilla and top w/some salsa. Step 3: Add foods to complete the entree. Step 4: Add foods as needed to complete the meal. We were aiming for 606 calories, 33.3 g protein, 72.7 g carbs and 20.2 g fat. We ended up with 610 calories, 34.5 g protein, 72.5 g carbs and 20 g fat. This is about as dead-on as it's possible to get. 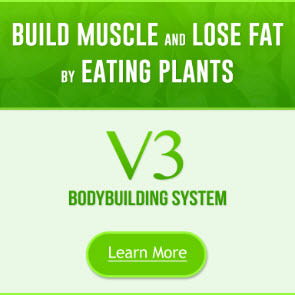 Is it necessary to get within 5 -10 calories, or a gram or two of your macro-nutrient targets? No: this is just an example and is meant to demonstrate that it can be done, using reasonable portions of food (not 0.761 tablespoons of flax oil or 0.469 cups of oatmeal) within the context of normal meals. There's some room for error. It will take a bit of practice to get it right. That's ok: the idea is to think ahead about what you're eating to ensure that you provide your body with a relatively steady supply of critical nutrients throughout the day, without eating too much or too little at any one meal. 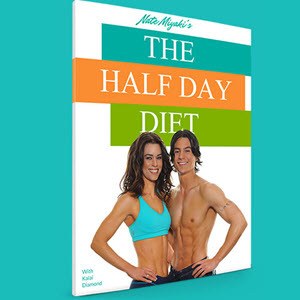 It's precisely this ability to "try on" different foods and amounts in advance that makes the Diet Planner so useful. 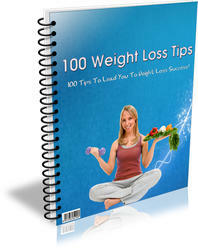 The Diet Planner can also be used to track the changes in your body com position. There is a text area for typing detailed notes at the bottom of each page in the planner, as well as text fields you can use to enter data on your weight and body fat percentage. As you gain (or lose), the Planner will plot a graph of the changes in your weight and lean body mass over time. One of the most valuable features of the Diet Planner is the ability to customize it with your own foods and recipes. Rather than force you to search through thousands of different foods, you can add your favorites to the list of basic foods already there. To enter your own foods into the Planner, you need to know the grams of protein, carbs, and fat in a serving of the food. One of the best places to find this information is also available to you in the Members' Area: the Food Database. When you open the Food Database, the first thing you see is the search screen, part of which is reproduced in Fig. 8 on the next page. The Food Database may not cover everything, but it comes close! Figure 1: The top half of the Food Database Search Screen. Foods can be searched by category (hyperlinks to sub-categories shown in blue), or by using the search box. Figure 2: The nutrition information returned for "Lobster, Northern, cooked, moist heat." The calories and nutrients for a 6 oz. portion were calculated by selecting "oz" from the drop down box, and entering "6" in the number field. The nutrition information returned by the Database can be scaled to any desired portion size by selecting the units from the drop down box, and entering a number into the adjacent field. The ability to scale portion sizes also makes the Database a handy tool for determining the total calories and macronutrients in your favorite recipes. Add the macronutrient totals for a standard portion into the Diet Planner and you're set. The bottom line: using both the Food Database and the Diet Planner make the processes of planning and tracking your diet much simpler. And for my money, anything that makes life simpler is a good deal! To make life even simpler: my moderators and I created a series of model diets for 1500 - 6000 calories/day using the Diet Planner. These have been transferred to Excel spreadsheets that you can download and use as templates for creating your own diet plan. • The recipe section in the BBR Members' Area. 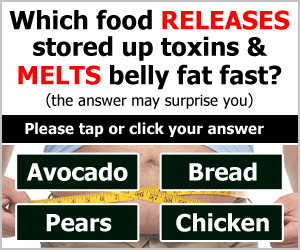 There are a bunch of great recipes there, with instructions and full nutritional breakdown. The free e-book,"Tasty Fat Loss and Muscle Building Recipes"is also available to all BBR members on the download page in the Members' Area. "Gourmet Nutrition" by John Berardi and John Williams is loaded with great muscle-building recipes and sound nutritional advice. It's available as an e-book from John's site.